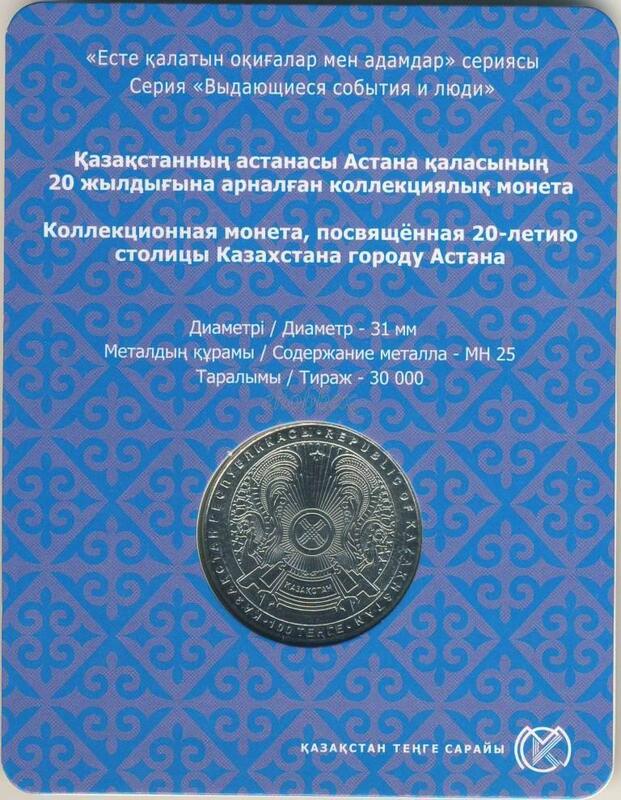 The obverse shows the emblem of the Republic of Kazakhstan. On the coin’s circumference is the denomination of 100 ТЕNGЕ in the national language. The text ҚАЗАҚСТАН РЕСПУБЛИКАСЫ and REPUBLIC OF KAZAKHSTAN are also included and encircle the state crest, which is centred. On the reverse, there is a collage of the landmark buildings of Astana. In the upper part, there is an inscription "ASTANA" and a stylized image of the sky. 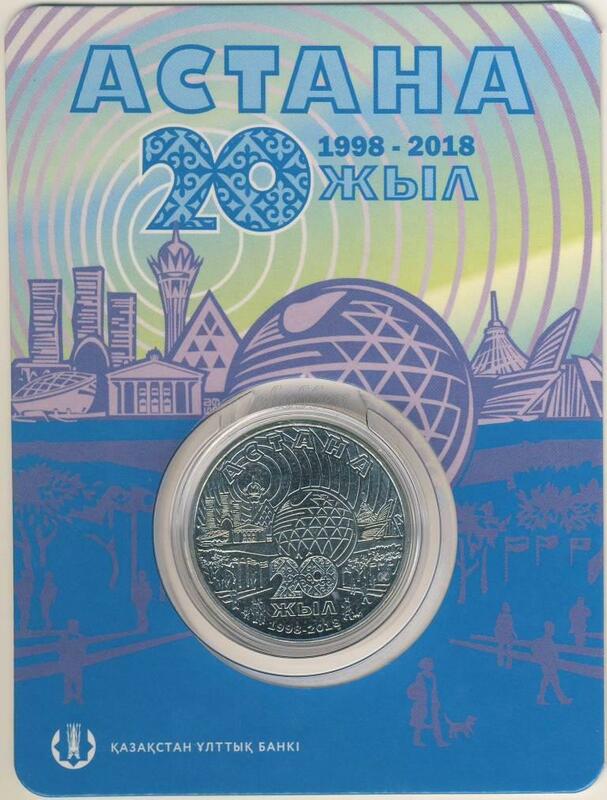 In the lower part, there is a stylized image of the number "20" filled with the image of the national ornament, the inscription of "years" in the Kazakh language, and the inscription "1998-2018", indicating the year of establishment of the capital of the Republic of Kazakhstan and the year of coinage.